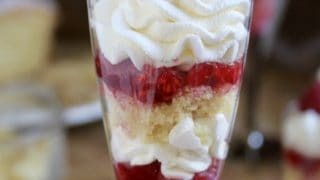 Individual Lemon Raspberry Trifles are a beautiful treat which can be made in miniature or in a little larger serving glass. Certain flavors are just meant to be together. This post may contain Amazon affiliate links for your convenience at no additional cost to you. 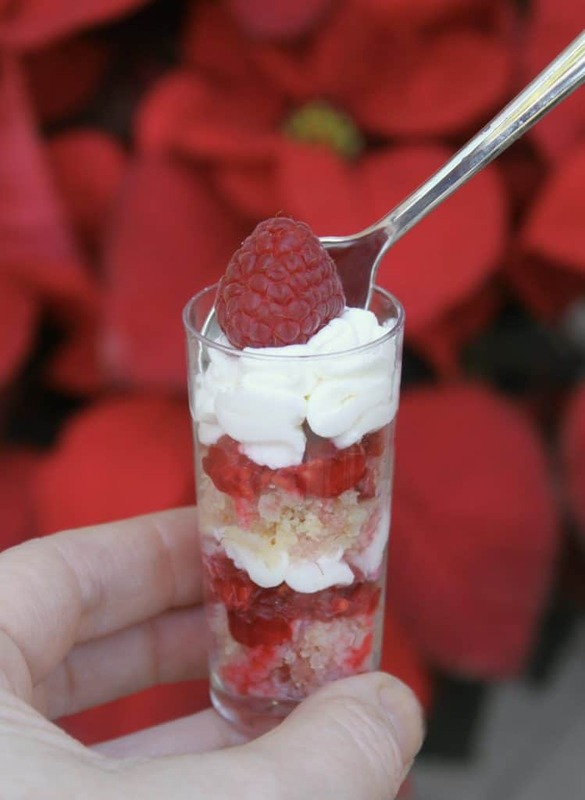 A perfect little no bake, no cook dessert for any time of year! You may not agree with me, but I think that lemons and raspberries are perfectly suited to one another. Don’t you just love raspberry flavored lemonade? 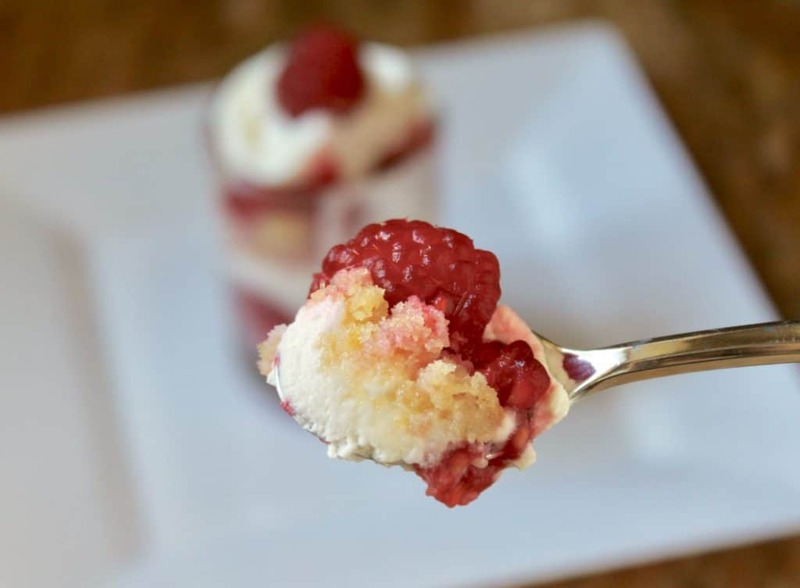 If you do, I bet you’ll also fall head over heels with these Individual Lemon Raspberry Trifles. You could make one large trifle, but I can tell you that it won’t look as lovely and delicate as these little beauties. Links below for the mini glasses on Amazon. 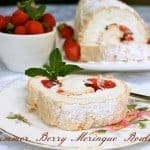 I make these year-round, but they are absolutely perfect for a light dessert after a heavy holiday meal, or a great sweet to serve at a cocktail party. 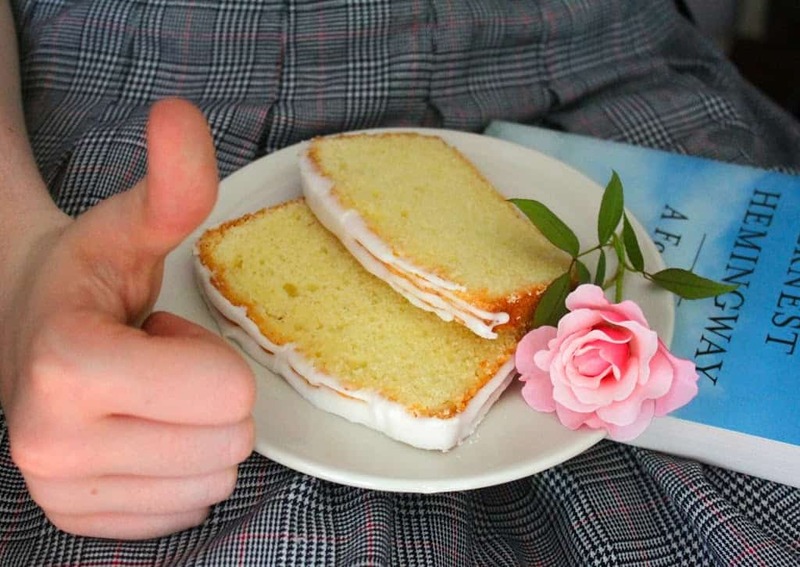 Remember that Way Better Than Starbucks Iced Lemon Pound Cake I made a few weeks ago? It’s the perfect cake to use for this dessert, which incidentally, is so simple, you hardly need a recipe! If you’re interested in the little plastic glasses and spoons I used, I ordered them on Amazon. They have lots of different shapes and sizes. I also have the real glass version, too. Break up the slices of lemon cake into small pieces. 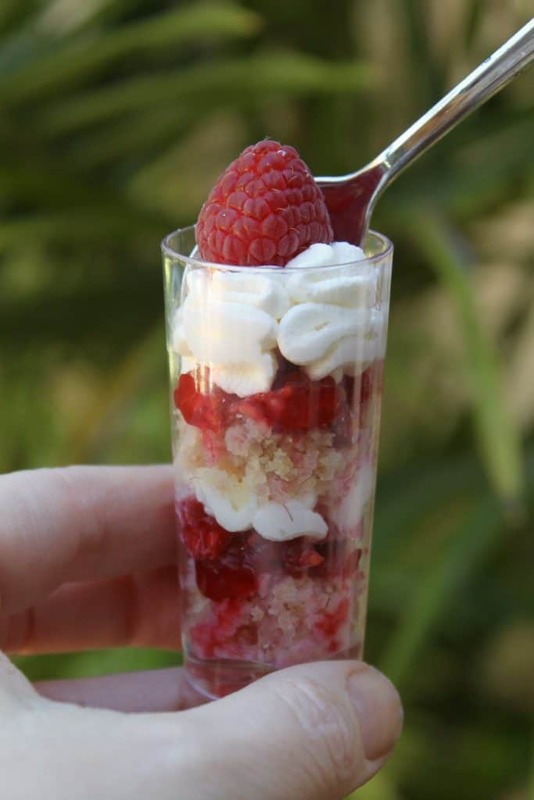 Set aside as many whole raspberries as the number of trifles you are making, for the top. 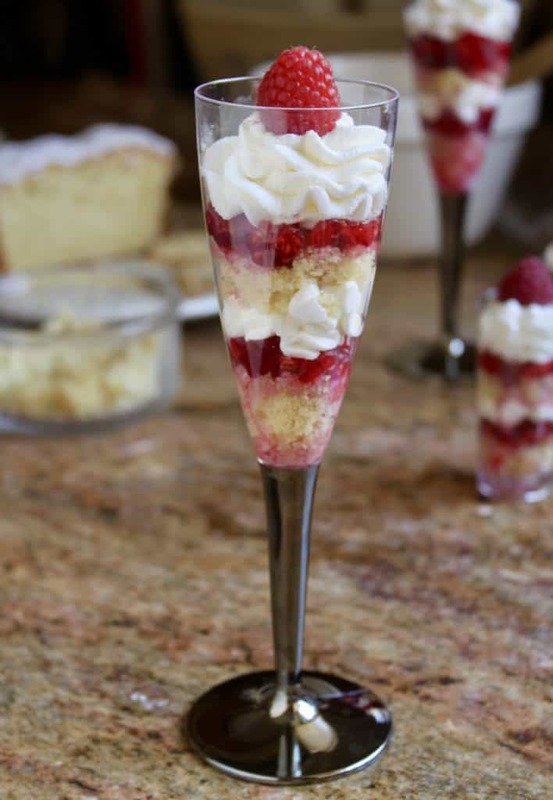 Place some pieces of cake in the bottom of the glasses, and drizzle with liqueur if using. Next, top with some crushed raspberries. Now, dollop or pipe some whipped cream for the next layer. I recommend piping as it keeps the glasses more clean and gives the dessert a more professional look. 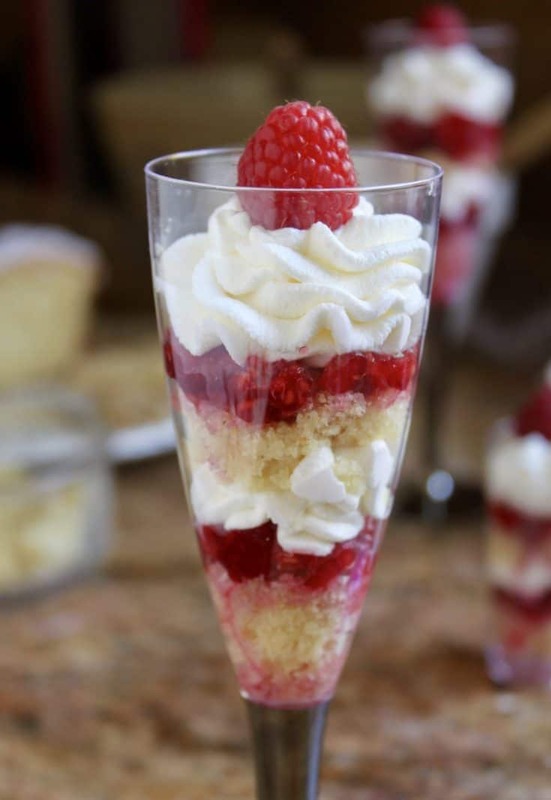 Repeat with more cake, liqueur, raspberries and end with cream. Finally, top with a fresh raspberry. Refrigerate for at least an hour or so before serving. as they are for a cocktail party at Christmastime or the holidays! 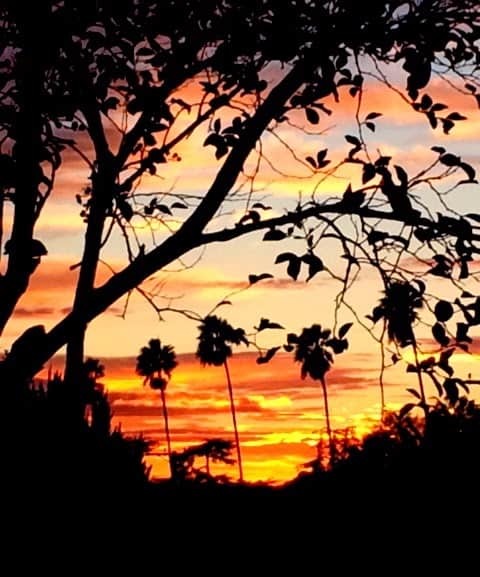 brings many beautiful sunsets right to your front door. 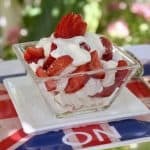 A no cook, no bake beautiful dessert that's just a perfect during hot summer months as it is in wintertime. Set aside as many whole raspberries as the number of trifles you are making, for the top of each one. 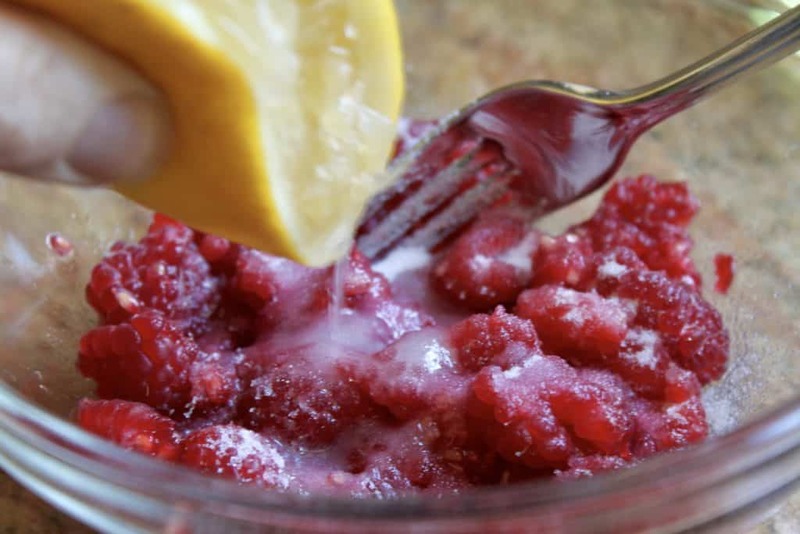 Roughly crush the remaining fresh raspberries in a bowl and add the sugar and lemon juice. Set aside for 10 minutes, and it will develop some lovely juice. 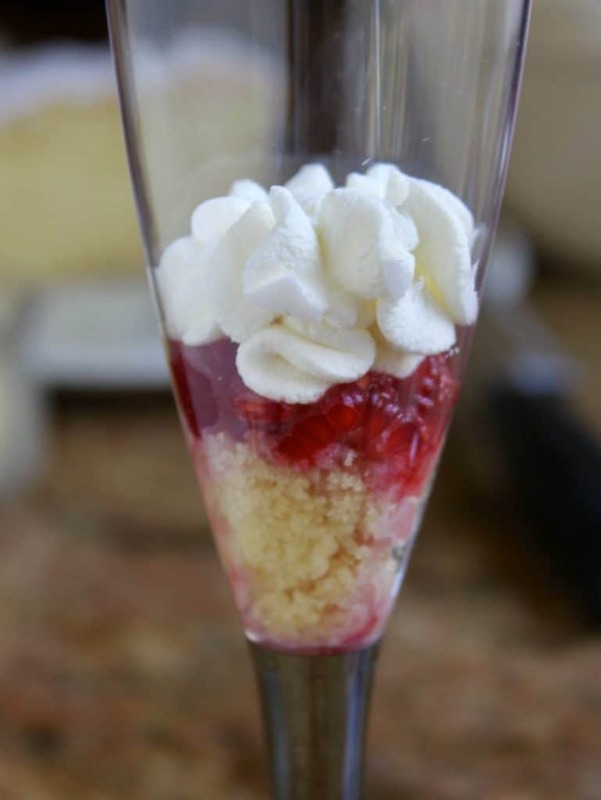 Put some pieces of cake in the bottom of the glasses, and drizzle with liqueur if using. Top with some crushed raspberries, cream and repeat once more, ending with cream. 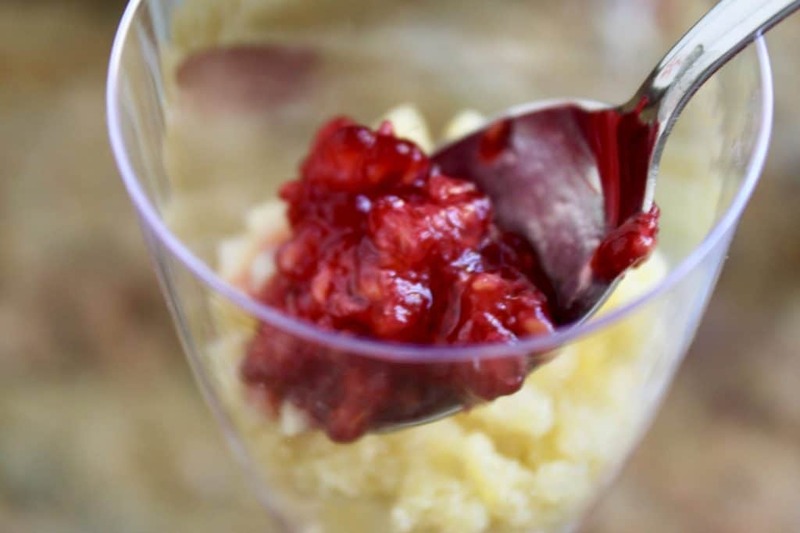 Top with a fresh raspberry and refrigerate for at least half an hour or so before serving. Thanks, Suzanne! They are so easy to make, too! Merry Christmas! These are lovely, Christina! I always prefer individual servings, as they are so much prettier! And these are so festive- perfect for Christmas! I love these individual trifles. Reminds me of the scene in “Chewing the Fat” when they’re being posh and asking for an individual trrrrrrifle in the most beautiful Scottish accent! 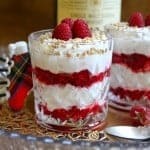 Lemon and raspberries are gorgeous together and love that your trifles are great for partying at any time of year, Christina. Making this for tomorrow! It looks yummy! 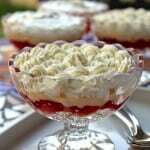 I love these trifles! 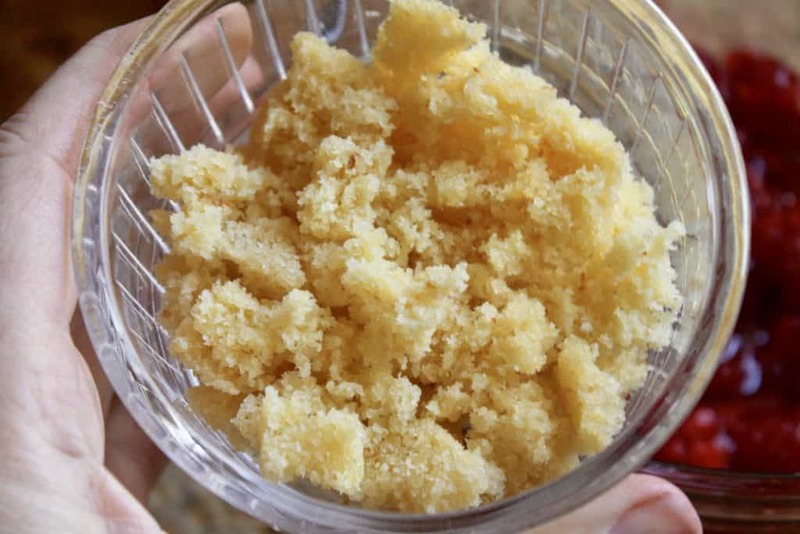 It’s the perfect, simple delicious dessert. 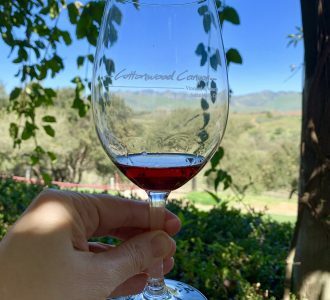 And we’re having amazing weather here in the Bay Area too. Crazy! Thanks, Susan! Just a few days pass and now we’re in the 30s! Yikes, it’s cold! Great minds think alike Christina! 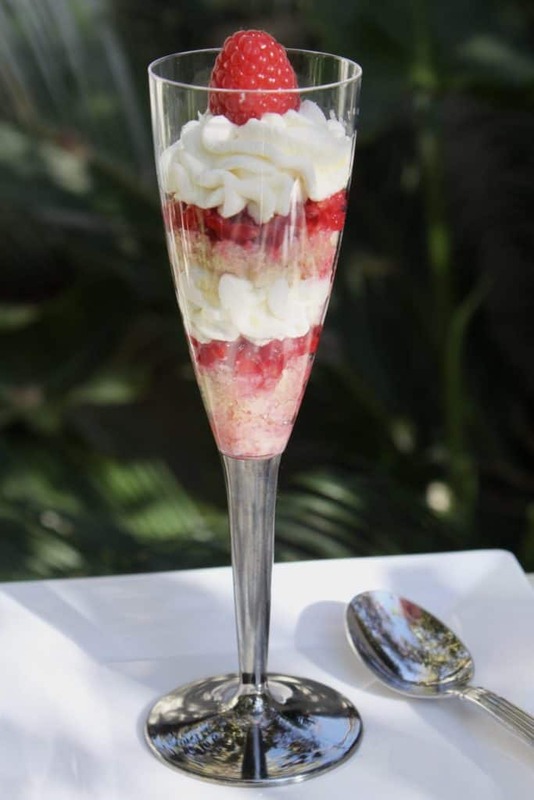 Did you see the limoncello mousse parfaits that I posted yesterday? These look so good too! I love lemon and raspberries together. Aren’t they beautiful, I love lemon and raspberry and LOVE trifle! !